Not so long ago the only option available for most investors was to invest into a mutual fund or to hire directly a financial advisor to manage an existing portfolio. Not only both options were complicated but were not cost effective, to a point where it was expensive enough to scare away smaller investors. With the FinTech revolution of the past five years, we’ve seen different types of companies coming out with products and services that truly changed the paradigm of investing forever. A key sector that was completely changed was “Portfolio Management”. As more people become interested in investing, portfolio management became cheaper as more companies changed their model from a fully staffed structure into an automatic robo-advisor with little to nonhuman interaction at all. There are many options of portfolio managers an investor can choose based on their goals but also on the size of their capital as many companies required a minimum of cash available for new clients. Most robo-advisor companies charge a fee associated with the portfolio management, and it is usually an annual fee based on the assets under management of each client. (This charges could be anywhere from 0.15% up to 2% of the value of the account). On a more high-end side many asset managers will also charge a performance fee on any excess of returns over the major benchmarks which means that if the portfolio has a great year, you will be also paying based on the return your received (20%-40% of the excess of return). In this list, we are considering both paying and free options for investors of all sizes, making these the best portfolio management options available in 2019. One of the many showstoppers that any Portfolio Management company has the face when starting their operations is the custody of the funds that they will be managing. Sigfig took a different approach to this problem, and instead of offering a full product themselves they partnered with top brokers in the US, passing the responsibility of the custody to them. 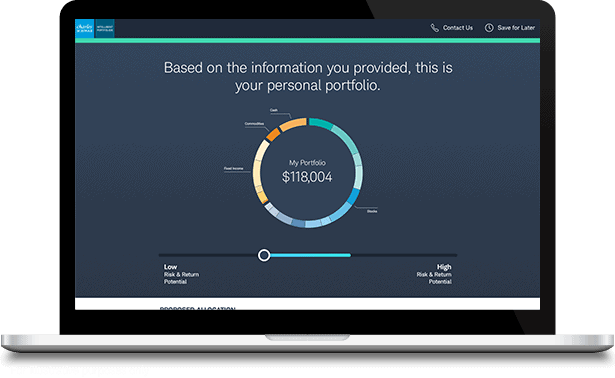 The company offers to major services, a Free Portfolio Tracker and the full Managed Portfolio which delivers an experience similar to investing with a Robo-Advisor. 2018 was a tough year for everyone investing in the financial markets, and it was especially harder for those who tried to replicate the returns from the “High on Caffeine” bull rally of 2017. Even under the extreme volatility of December 18, SigFig was able to pull positive returns that beat the S&P 500 benchmark by 0.67%. Only three other Robo-Advisor companies where able to beat the benchmark and many other presented significant losses. An important point to mention is the SigFig offer its clients with the ability to review their portfolios with a certified consultant. Even though the world is walking towards a fully digitalized environment, many investors are still uncomfortable without the human presence and this helps to ease most of their concerns. Notes: If you have your investments in a broker outside of the three mentioned above, SigFig will open a default account with TD Ameritrade to work as a default broker for all the transactions. If you are a person that likes to feel in control of every aspect of their life, then Morningstar is the right platform for you. Their software delivers a one of a kind model that allows investors to read their portfolio in a granular way. To put it into perspective, an ETF in this platform will provide you all the details regarding their components to the point where you can analyze if you have any correlation of assets within the overall portfolio. Most of the other platforms available in the market does not have this reach of analysis. One tool that many investors should use is the 10K analysis of an asset or investment, this allows investors to track the growth of a ten thousand dollars investment over time. If the investment was in stocks it will provide all the recollection of dividends and the same with any coupons for fixed income. Best for: Fundamental and value-driven investors. If you are an investor that focuses on technical analysis, you might wanna look into another service since morning star follows fundamental investing only. 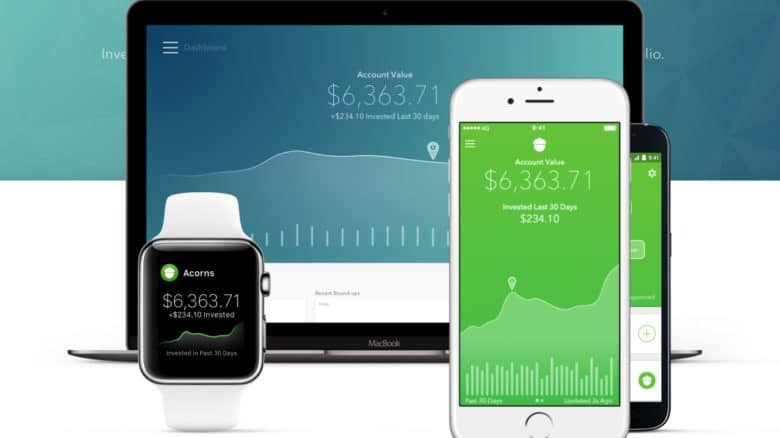 The principle idea behind Mint is to help people centralize and track their finances and investments. The company provides a top tier software that connects directly to your broker and bank account in order to monitor your balances and also your spending. An important key to the app is that it allows investors to have a better understanding of their finances at any time, as well as managing payments and controlling expenses. If you are a person that have accounts in several banks, or even multiple credit cards, the platform helps to keep of all the charges and the overall balance at any time. Bottom line mint excels as a finance tracker but lacks in terms of real pure investment management as it only tracks and forecasts based on your own management. 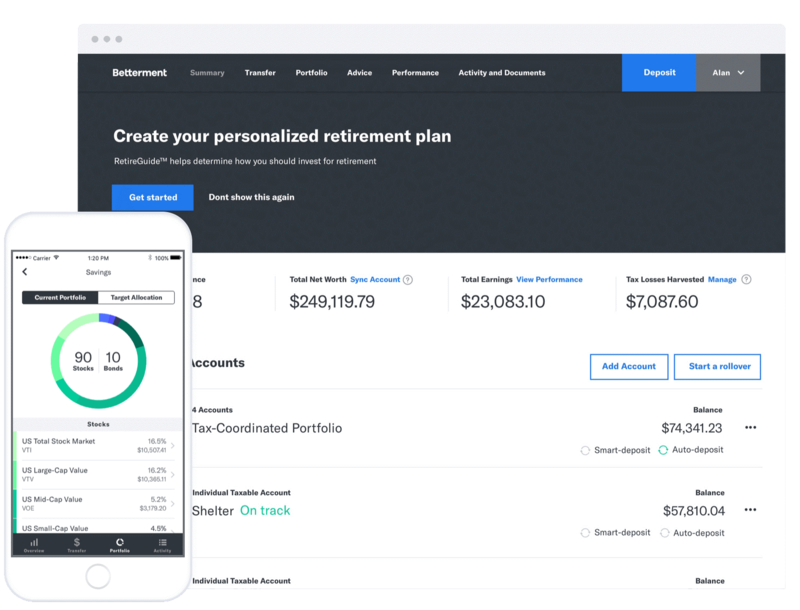 Just like Mint, Personal Capital offers individuals the ability to track their finances within one place and to use their platform as a central hub for their own portfolio analysis. The company offers both free and pay services, allowing smaller investors to benefit from their state of the art platforms. It is not uncommon to see companies advertising free services or platforms that will eventually require to pay in order to get a full experience or a subscription later in time. 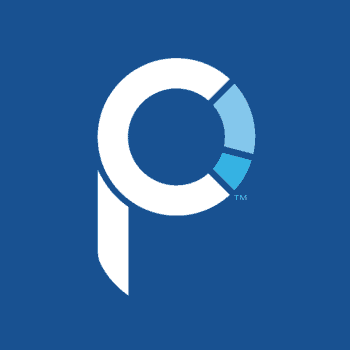 Personal capital delivers a top platform for free. Even though the core of the company is focused on paying services, the free tools provided by Personal Capital are one of the best in the business. Not all the time we get to see real free services being even better than many paying subscriptions. Whether you are looking for a tool to help you keep track of your expenses, your credit score, or even to help you make better investments Personal Capital has the tools for you. Notes: The free version is truly free, it won’t be any hidden fee or the necessity to buy a plan. Their main goal is to help investors grow their worth and eventually offer to become part of their select business once they meet the requirements. Fidelity is one of the biggest asset managers in the world, with current assets under management exceeding $2.46 trillion dollars as of January 2019. Over the years the company has continued expanding and diversifying into different areas, one of them being the inclusion of a newly developed Robo-Advisor service called Fidelity Go. Fidelity Go offer investors the ability to control their savings and investments all in the same place. With top tier analysis methods, investors can easily determine and forecast how their investments will pay over time. One of the key points of the model offered by Fidelity GO is the cheap access to mutual funds and the filter the company does to eliminate assets that are categorized as too risky based on every investor profile, maintaining the excellent risk levels at all time. 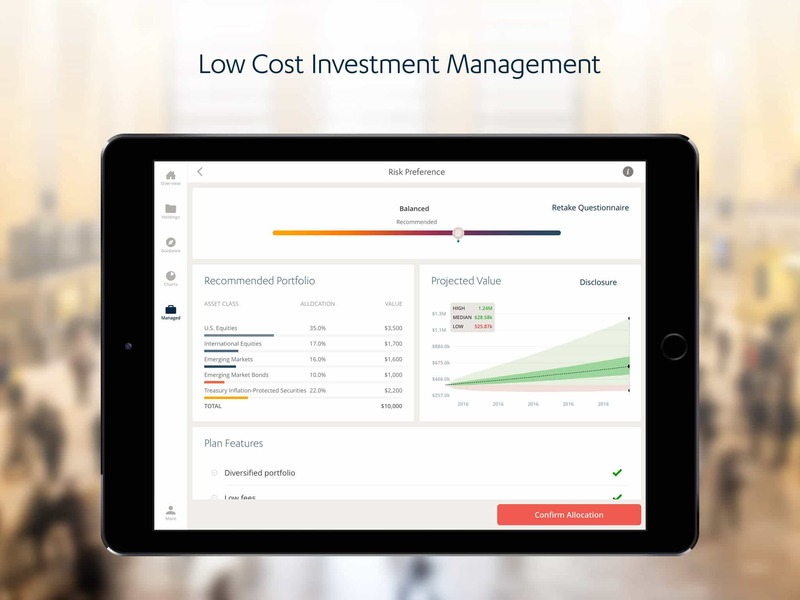 Since the platform is oriented for new investors and especially those looking to delegate the investment management to someone else, the firm has designed its own proprietary model that manages the portfolios following a hybrid system, combining both algorithms and financial advisors to restructure and rebalance portfolios when needed. Any investment might be a scary thing to do at first, but if you start your journey with a well sounded and reliable name like Fidelity, you won’t find yourself receiving bad surprises. Notes: Fidelity is one of the biggest market movers of the world, whenever the overall company decides the rebalance a fund and include a specific asset into it, people listen. No matter the size of your account, it is important for investors to always look for safe platforms and brokers for their investments, at the end of the day even with all the insurance available it is just best to avoid an unnecessary headache. 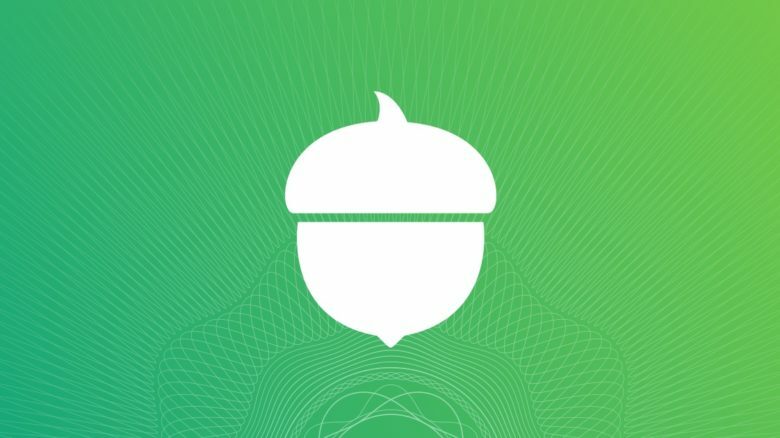 If you are an individual that has never invested in anything, but you are interested in started somewhere, Acorns might be a good option for you. According to the developers and founders of the company, the idea of Acorns started as a model to make investment accessible to anyone, especially college students interested in the financial markets. Although these roundups are the bread and butter of the platform, the system is open for investors to do lump sums investments manually or set up recurring deposits on a daily, weekly or monthly basis. 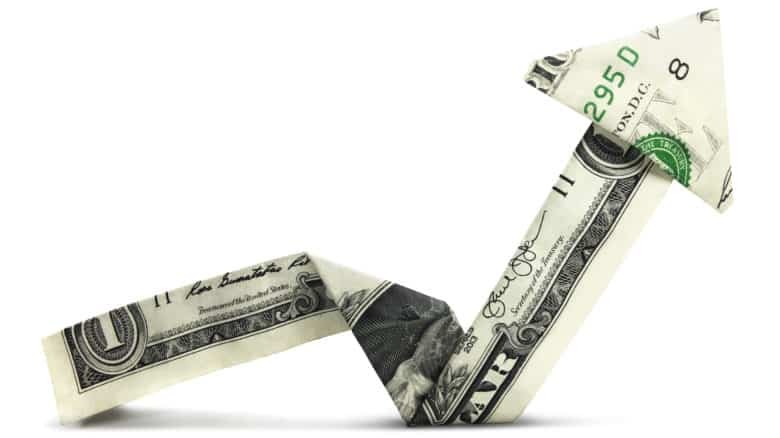 Lump-sum transfers can be as small as $5. In order to continue with the overall tailor-made experience, Acorns offer 5 portfolio models to choose, each of them offering a gradually higher level of risk, allowing both conservative and aggressive investors to manage risk according to their profile and goals. All portfolios offered by Acorns are put together and managed by The Vanguard Group and Blackrock, which provides another extra benefit of choosing the application over its major competitors. Just like with any mutual fund, all the portfolios are recalibrated as market conditions changes, this in order to deliver smooth returns over time and to mitigate any volatility that could be affecting any component of the portfolio. 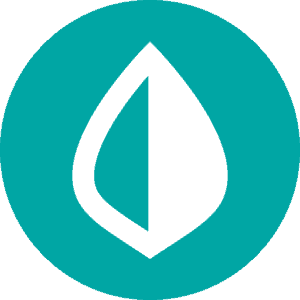 Acorns smart portfolio algorithms automatically work in the background of life, helping users build wealth naturally, pennies at a time. 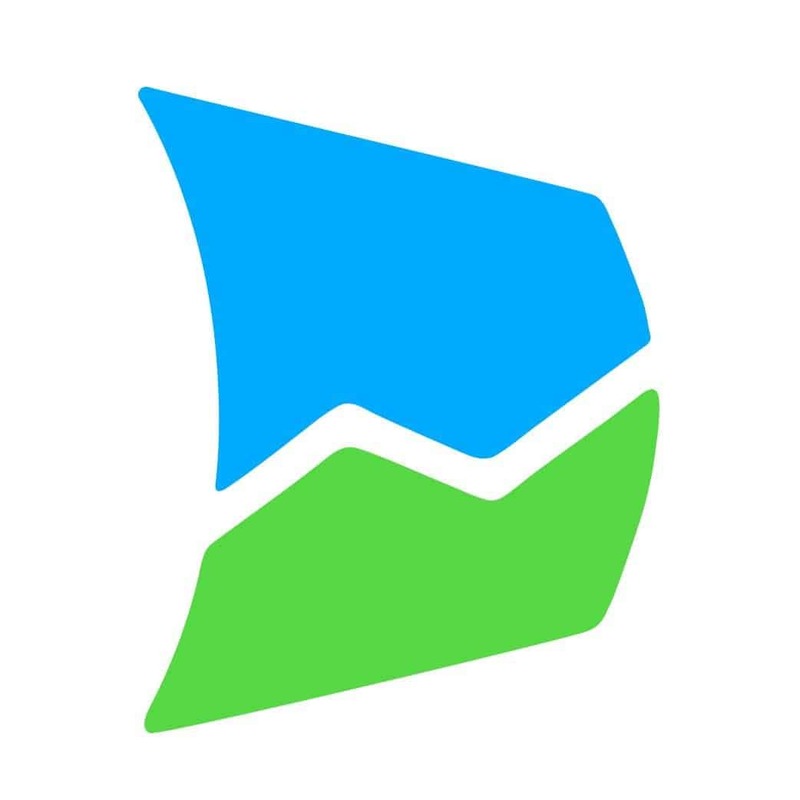 FutureAdvisor developed a very attractive model for any investor interested in opening a trading account with Fidelity or TD Ameritrade as it offers an active management model over your personal portfolio. Under this model FA would have access to your brokerage account and will manage automatically all the rebalancing as needed, effectively managing your portfolio. Portfolios are tailormade for every investor, taking into consideration the risk appetite, goals, age and investment horizon at the time. An important characteristic to bring to the table is that the company offer portfolios with most of the asset classes available in these two brokers, allowing investors to find the right asset for their portfolios every time. The company also offer specific features to successfully expand your investing repertoire, including retirement plans, investment management, and college savings. If you are already an investor and you are still holding open positions, Future Advisor offers the service to review any existing legacy in order to determine the most effective way to manage around those assets or to liquidate them and replace them accordingly. 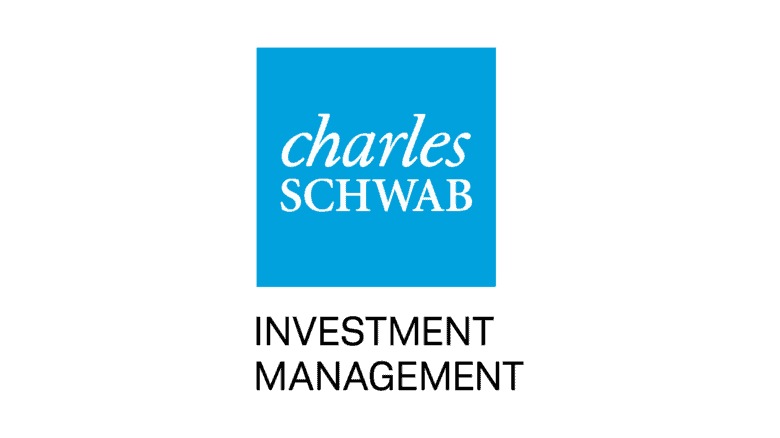 Just like many what many other brokers have done in the past, Charles Schwab offers an opportunity for a fully inclusive investing experience, offering both brokerage and investment management services. Schwab’s investment model is pretty simple compared to other more technical options from this list, as it offers up to 20 different ETFs per portfolio. Effectively delivering a low level of correlation between funds and a desired level of diversification. As a result of being a well-rounded brokerage house, the company has access to every asset publicly traded in the most important exchanges globally, which translate in immense opportunity to dress your portfolio with any type of asset based on your risk profile and tolerance. The only real problem that I can find about this specific robo-advisor is its initial capital requirement of $5000 since it can be a little steep for some smaller investors, but otherwise, this is a great company with a proven track record of delivering alpha with a sharp edge year after year. The vanguard group is a giant multinational with over $5.3 trillion in assets under management. The company is the largest provider of mutual funds in the world and the second ETF provider, only behind BlackRock’s iShares. Since its inception, the founder of the company Jack Bogle preached for financial markets and investment opportunities to work in the most straightforward and efficient way as possible. This is the exact same vision the company follows until today, as they focus on delivering the best possible return in the most transparent way. Vanguard model works as a top tier Robo-advisor enhanced specifically for investors looking to allocate large sums of capital in the markets. Professional advisor services aren’t cheap, but the services and performance delivered are worth for any investor to pay the high fees. The company understands that every investor is different and that all portfolios should be developed based on every investor profile, goals, and tolerance. Notes: If you want “experience” to be your guide in the rodes of investing, the Vanguard Group is the go-to option from this list. The requirements are high but the service and performance offered by this pedigree full company are difficult to match. Not many companies can say they manage +$5.3 trillion dollars (5,300,000,000,000). Many new investors find it difficult to achieve a confidence level that would allow them to actively invest and to manage their portfolio on their own. 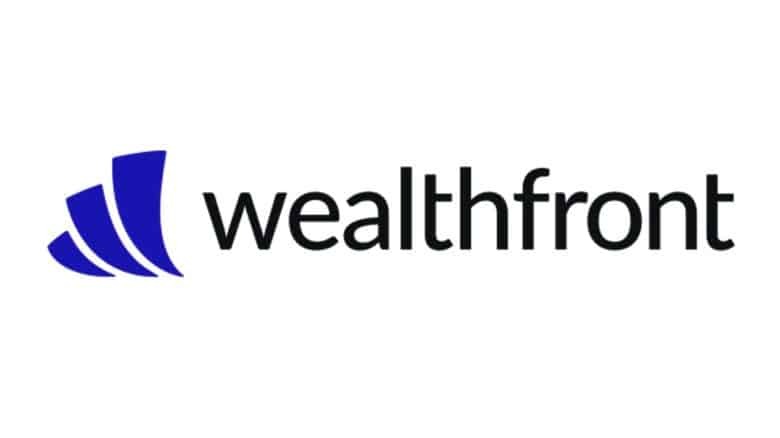 Wealthfront provides a hands-off model under which investors can give the wheel of their portfolio to a Robo-Advisor system. Even though the company has a minimum requirement of $500 dollars to open an account, the full package of services requires a minimum account of over half a million. The wealth front algorithm might not be the best in class but their overall holistic financial advice and automated management system make the company a well-rounded option for any investor. An important factor to mention is that the company have a heavy focus on tax optimization strategies, effectively managing the portfolios around this model. How much should you save today? How much will you be worth then? Could you live your current lifestyle at retirement? Are you on track for your child’s college education? Are you saving enough to purchase a home? 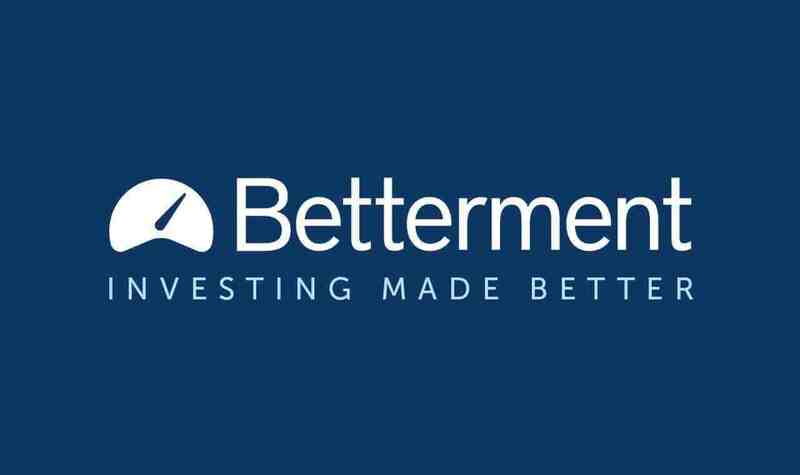 Betterment offers its services as an online financial advisor and portfolio manager. With more than ten years of service, the company has proven to be a reliable option for anyone looking to invest with a robo-advisor model. An important characteristic to mentioned about Betterment is that any investor with an account under $100k won’t have access to investing in single stocks and instead would have to go for specific ETFs that deliver a more robust return at a smaller unit of risk. 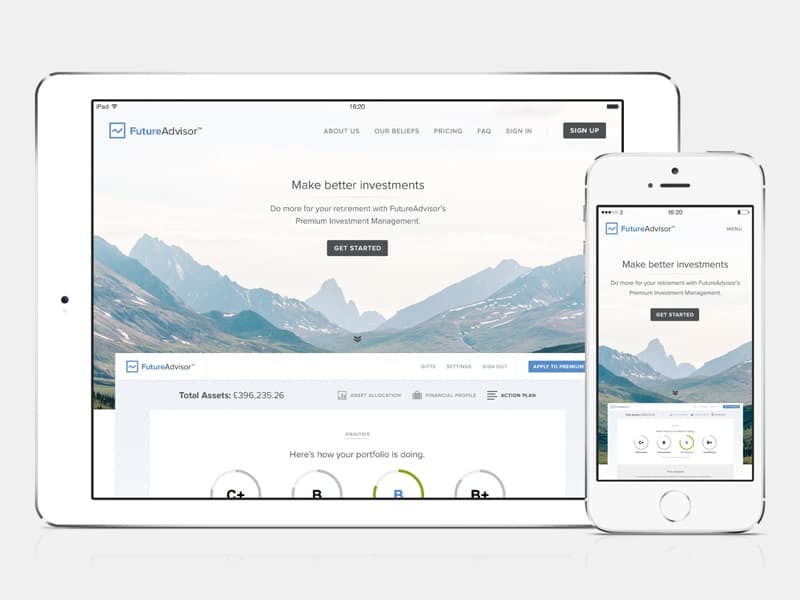 Over the past couple of years, Betterment has worked in a joint venture with the Giant Asset manager BlackRock to design a low-risk high dividend portfolio specially developed to generate income. This portfolio has become a solid option for retirees looking to receive stable, income as well as a method to preserve their capital. As of January 2019, the company had +$115 Billion in asset under management and more than 400,000 active users worldwide, making it one of the most important and fully automated advisors worldwide. If you live in the UK money Dashboard is a name you should be paying more attention to. The company offers a consolidated platform to manage your finances in one place, effectively analyzing credit cards, bank accounts, investment accounts, etc. With many banks and asset managers having their own specific reporting engines, or simply their own platforms being able to combine everything in one simple place offers a great opportunity for anyone interested in learning better expense patterns, savings information, debt, etc. Even though many individuals do pay attention to their card statements every month, not many truly take the time to sit down and review every single line and even less have the chance to prepare an analysis over the type of expenses or simply the reasons behind this. 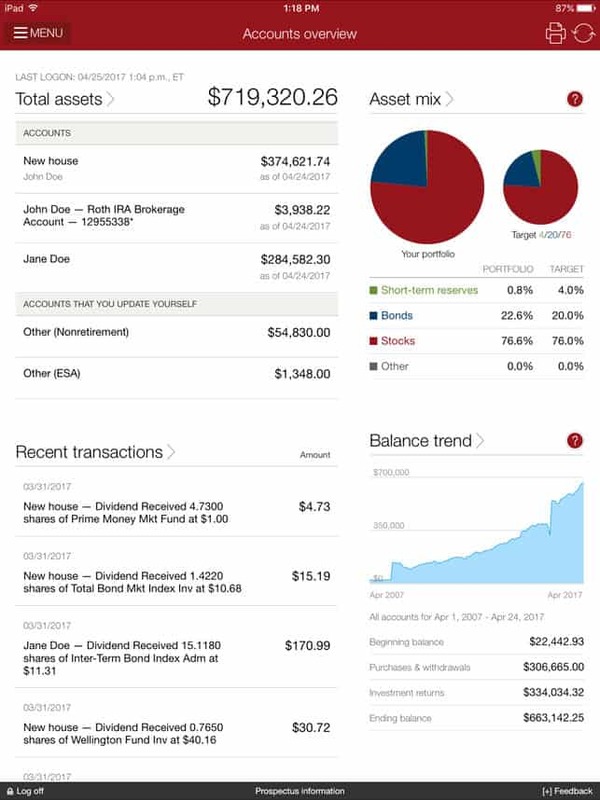 Moneydashboard provides easy access to deep diving reports over our consuming habits and our investment/savings accounts. The forecasting tool allows investors to calculate over time the returns that their savings or investments might generate, allowing them to make changes and calibrate the portfolios as due. 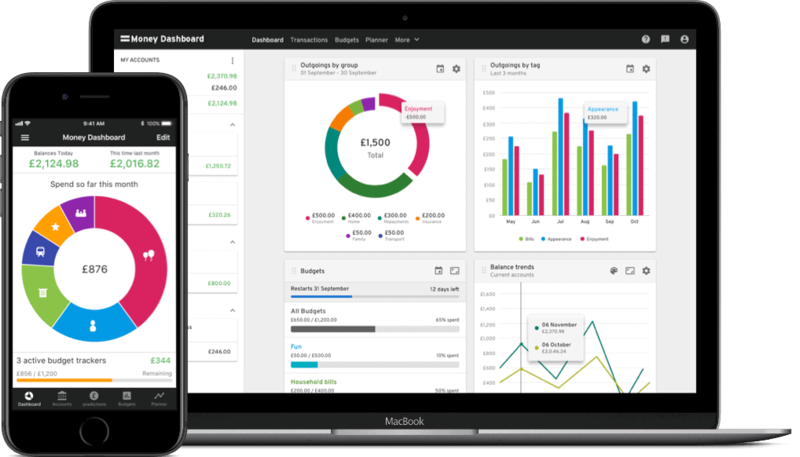 All your finances in one place without having to jump between banking apps or website, great for those who use multiple building societies. Notes: Money Dashboard provides UK citizens with a similar full package to what Mint delivers in the US. The platform was developed to help their users to control better their finances and to invest accordingly. If you are looking for a platform to consolidate with a single view all your transactions and your financial information, this is a great opportunity at a zero cost. One thing most individuals have in common is the desire of financial freedom, being able to buy their own house or simply to afford the things they truly want. 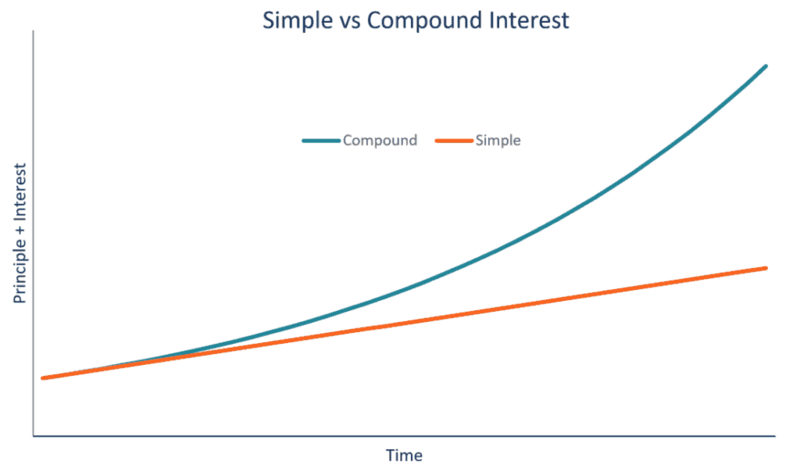 There are many ways someone can boost their net-worth and make their money work for them but investing, in the long run, provides not only the highest return but the ability to do incredible things with the magic of compounding interests. Investing is not going to make you rich fast, but it will secure the growth of your money and will deliver accordingly. Over time you see how your money grows exponentially as time passes, at the end of the day investing is a marathon and not sprint. My advice is not to rush the process and to think long term with most investments, but to rush into investing as soon as possible. Many individuals still believe they need to have large sums of money for them to start but this is no longer the case, if you are planning on starting long term savings account I woencouragerage you to open an investment account intead. Many names from this list offer a zero minimum deposit policy and will allow investors to get in and out of their portfolio fast enough to be considered as very liquid acounts. Not only you will be saving money but it will be working for you, generating income and growth!